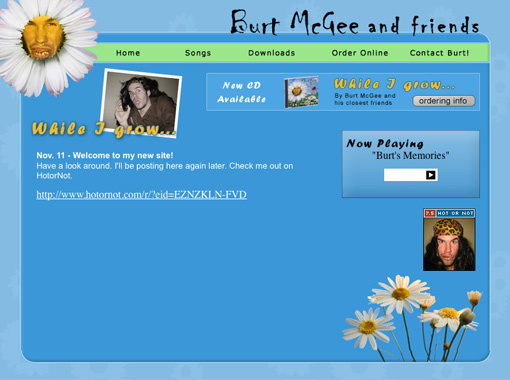 This web site project was created for the Burt McGee album (see design section of portfolio). The artwork matches the CD album art look and feel, and presents a youthful, yet creepy personality. The site features song lyrics, wallpaper downloads, and online ordering.